Since I started packing for Cleveland for the ASI convention, I thought I’d look at the weather forecast for Cleveland, OH; doesn’t matter where you look, it seems that layering is going to be a practical mode of dress. The ten-day forecast shows highs in the 40s and 50s for the time that we’ll be there. 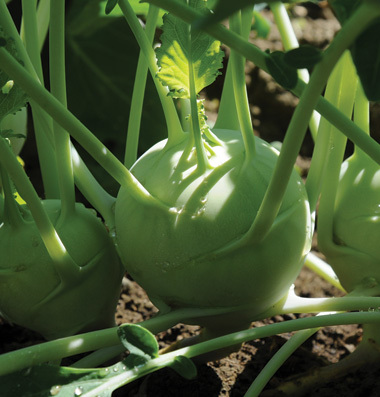 On a brighter note (at least for indexers)I actually saw kohlrabi on a restaurant menu! I was checking out restaurant menus online–yes, a little anticipation here. From a friend who is as serious about food as I am, I got the following recommendations: Lola Bistro and The Greenhouse Tavern. There were some things on the menus of both these that looked appealing. Imagine my surprise when I saw roasted kohlrabi on the dinner menu at The Greenhouse Tavern; unfortunately, as the menu changes at least weekly I see that the kohlrabi has now been replaced by fried brussels sprouts–well, at least I’ve gotten to see it on a restaurant menu once (along with crispy pigs ears as well as roasted pig head).